Past. Present. Future. Everything is connected. Believe it! 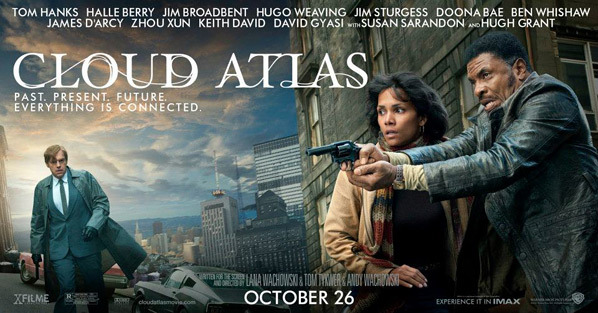 Warner Bros has just start marketing the heck out of the Wachowskis' & Tom Tykwer's Cloud Atlas, which arrives in theaters 31 days from now - October 26th. Mark that date down now. 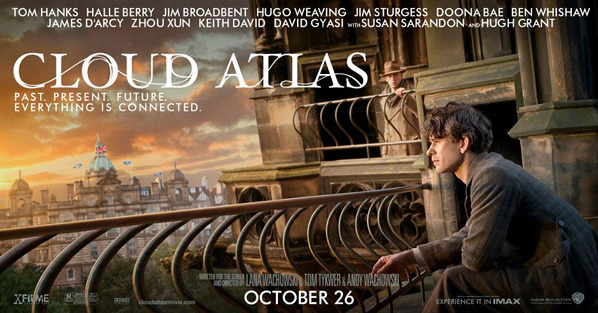 Up first, on the Cloud Atlas Facebook (via ComingSoon) they've released a set of seven character/timeline/story banners for the movie. In addition, two more TV spots have popped up to compliment the first one debuted last week, these two without any critics' quotes. Don't worry, they're not showing too much, because it's really about the entire experience overall. And it is a spectacular experience. All seven character banners. One for almost every story, but there's three for Neo-Seoul because it's so cool. 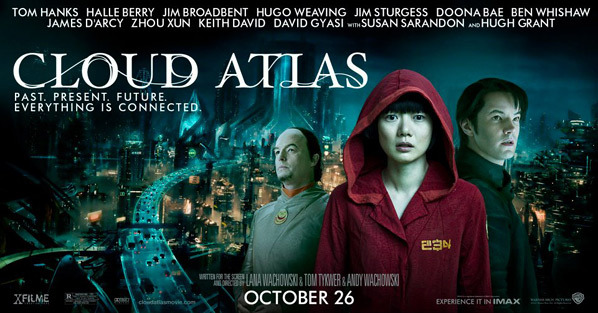 Cloud Atlas is the ambitious adaptation of David Mitchell's novel, co-written/directed by Andy and Lana Wachowski (Bound, The Matrix, Speed Racer) and Tom Tykwer (Run Lola Run, The International), that features six century-spanning storylines, all using the same actors playing characters across time and space. 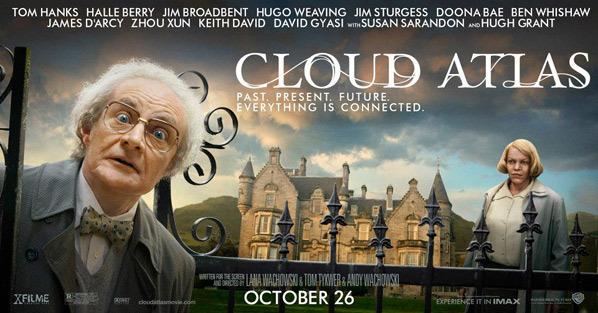 The film explores how the actions and consequences of individual lives impact one another throughout the past, the present and the future. Action, mystery and romance weave dramatically through the story as one soul is shaped from a killer into a hero and a single act of kindness ripples across centuries to inspire a revolution in the distant future. 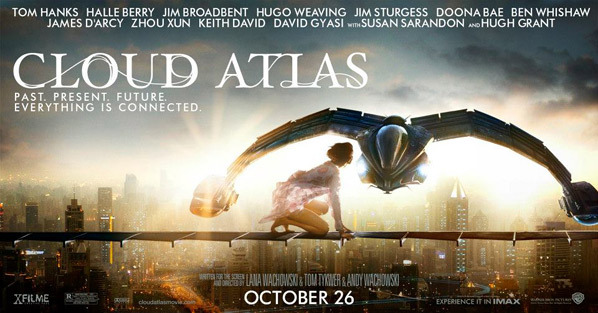 Warner Bros has Cloud Atlas set for release on October 26th next month. 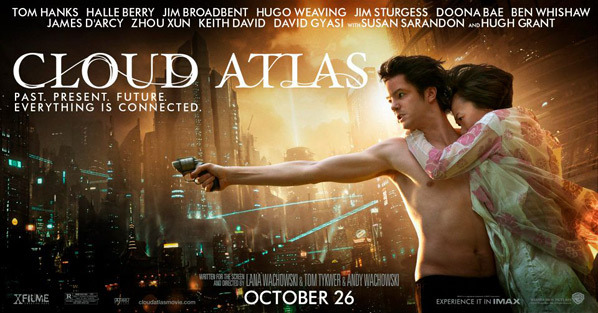 My most anticipated movie after the new Bond! Cannot wait! Love how the backgrounds give us a glimpse of the world with the different styles of buildings. 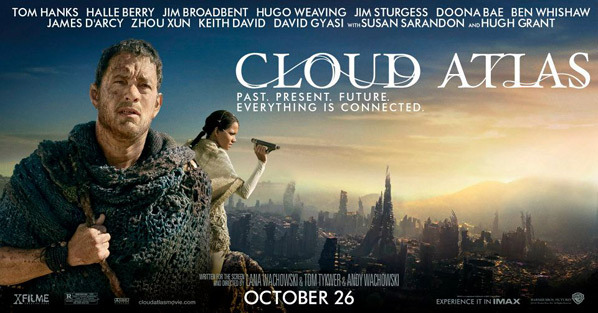 -every movie this year out of the water? what?